At the Carter Law Firm, you will find a team of attorneys dedicated to serving your needs and providing you with steadfast advice and representation in the areas of law that most directly and immediately impact the lives of you and your family. Trying to handle a legal matter on your own is like trying to travel through a foreign country without a guide. Our attorneys have decades of combined experience in the areas of law that matter most. We take the time to listen to our clients and fully explain the aspects of the case, so that you are informed and prepared to make important decisions such as whether to accept a settlement offer from an insurance company or a plea bargain from a prosecutor, whether to file for bankruptcy, contest a will or fight for child custody. Whatever you choose, you can count on the Carter Law Firm to be at your side, steadfastly advocating for your rights and your best interests. In a serious accident, your life can change in an instant. Through no fault of your own, you find yourself unable to return to work and struggling to pay a mountain of doctor and hospital bills while dealing with the pain and ongoing challenges of physical rehabilitation or living with a disability. We take on the role of getting you the compensation you need and deserve to move forward, so you can focus your energy on getting better. When your freedom, your livelihood and more are at stake, you need to feel confident that you have a qualified and experienced attorney on your side who will fight to get the best result possible. As a former prosecutor, Jerome Carter knows the system inside and out. Whether negotiating the most favorable outcome, arguing for a dismissal of the charges, or taking your case to court for an acquittal or not guilty verdict, the Carter Law Firm provides solid, strong defense of all Alabama or federal misdemeanor and felony offenses. It is far to easy to let emotions take over in family law situations and wind up making decisions that turn out not to be in your long-term best interests. We listen with a compassionate ear and take the time to fully understand your situation. We counsel you as to your best options and craft workable solutions that meet the needs of you and your family. You work for a lifetime building up financial security for yourself and your family, and you want to know that your loved ones will be protected if anything happens to you. We help you create the documents that tell the court how to distribute your estate after you are gone, and we are there at that stage to make sure everything goes the way you intended. 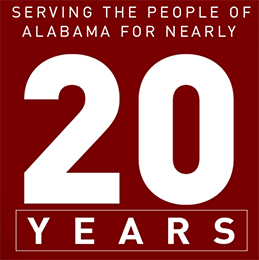 Our attorneys have deep ties to the Mobile area and are passionate about helping out in the community, whether representing indigent defendants or volunteering with worthy causes. We are aggressive advocates in court and we fight to win, but our clients are comfortable talking with us and sense our compassion and dedication to their cause. Let us help you with your legal needs. We make ourselves available 24 hours a day, seven days a week if you have been arrested or hurt in an accident and have immediate needs for assistance. We are conveniently located on Dauphin Street in Mobile near many major freeways, but if you cannot come to our office, we will gladly come to you. Call 251-433-6500, or contact us online to speak with one of our attorneys. We look forward to the opportunity to help you with your legal needs.